This species is listed in CITES – Appendix I. The survival of the Large-antlered Muntjac depends on the viability of populations within protected areas, many of which (particularly in Lao PDR) are currently potentially highly suitable for the species due to their typically large size (Timmins et al. 1998, see also Timmins and Duckworth 1999, Timmins and Duckworth 2008). Although Large-antlered Muntjac populations within protected areas face unrestrained hunting, populations outside protected areas are likely to be faring even less well. The limited success to-date for protected areas is a reflection of the time it takes to form an effectively functioning system (see threats), rather than a demonstration that the species would better be conserved outside them. Actions of primary importance include the stemming of further habitat loss at lower altitudes and, most importantly, controls on hunting (Timmins et al. 1998). The single most important conservation measure for the Large-antlered Muntjac is to develop an effective conservation management system in Nakai–Nam Theun NPA, and to help strengthen protection activities there, especially through building technical capacity, and the appointment of senior staff with motivation to conserve wildlife. Initiation of effective protection and management in Laving–Laveun NPA is similarly important, as it may be in a contiguous provincial protected area to the north of Laving-Laveun, Khoun Xe Nong Ma PPA, in Khammouane Province, Lao PDR. As of late 2015, the Nam Theun 2-funded protected area management project for Nakai-Nam Theun has made minimal progress despite receiving many million dollars (see ‘Threats’). Xe Sap NPA, in southern Laos, has recently been the beneficiary of a large conservation project, "Carbon and Biodiversity" (CarBi), coordinated by WWF and funded mainly by the German development bank, KfW. Components of the project have focused on training and supervising a small number of anti-poaching patrols in Xe Sap. Unfortunately, as of 2015, project funds for Xe Sap patrolling were nearly exhausted. 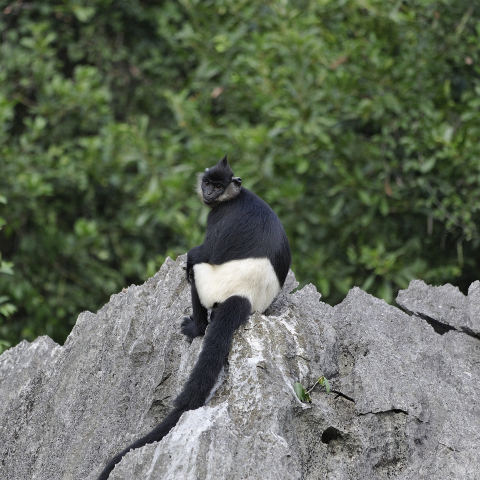 Few other protected areas within the Lao or Vietnamese range of the species currently have more than paper protection. Conservation management needs much wider recognition of the value of lower-altitude forests in protected areas throughout the species’ range (see the Threats section). The status of the species is very little understood in the southern Annamites and so a focus there should be on status assessments. If sites are found with significant numbers then they would automatically become priorities for enhanced management and protection. At its meeting in 2013, the Saola Working Group of the IUCN SSC Asian Wild Cattle Specialist Group, adopted a “zero threats” goal for Saola priority areas, that is, that the protection goal should be “…zero active snares (and other traps that pose risk to Saola), zero domestic hunting dogs and zero illegal firearms in priority Saola areas” (Saola Working Group 2013). The rationale for this goal is that for a Critically Endangered species like Saola, any level of snaring or hunting where some Saolas might survive presents a significant threat to the species’ survival. With Large-antlered Muntjac now also elevated to Critically Endangered, the same “zero threats” goal is likewise appropriate. Conservation breeding is often proposed when animals are in imminent danger of extinction, a point at which in some, perhaps many, cases it may be too late to save the species by any means. As Large-antlered Muntjac appears to be following a status trajectory similar to that of Saola, a species for which conservation breeding is now recognised as the priority intervention (albeit later than would have been optimal), it would be prudent to initiate conservation breeding as soon as possible for Large-antlered Muntjac. Conservation breeding for Saola could theoretically be relatively easily combined with that for Large-antlered Muntjac. As for Saola, there are no known Large-antlered Muntjacs in captivity anywhere in the world today, so such a program would have to start from zero. Fortunately, for the time-being, Large-antlered Muntjac remains relatively easily detectable within probably at least two areas of Lao PDR, making capture potentially possible less challenging. Considering the genetic distance between the animals in the northern-central Annamites and the southern Annamites, a conservation breeding program may well be needed in southern Vietnam also. Management in all protected areas within the species’s range must address the issues of how customary hunting by local people can be reconciled with the conservation of Critically Endangered species. The magnitude of difficulty of this balancing act is often underestimated, through an uncritical acceptance of the fact (in any case, disputable, when status of rhinoceroses in South-east Asia and a multitude of species in south-central China is considered) that before ‘international’ conservation principles and practice these species did not become extinct under the custodianship of customary hunting. This is a flawed comparison because in the intervening period human populations have exploded, much wildlife habitat has been lost to other land uses, modern weapons allow far more effective harvest of wildlife than did any customary techniques, and modern connectivity and urban affluence have generated a limitless market for wild meat (e.g. Duckworth et al. 2012). In sum, many more people depend on a far smaller area than before, and a new, infinite market can be met using hunting methods which previously did not exist. This means that there is no possibility that unfettered ‘customary’ hunting can conserve ungulates in Lao PDR and Viet Nam, even if ‘customary hunting’ could be defined in a modern context. Greater recognition is also urgent that the two groups that will chiefly bear the damage of current heavy hunting are, self-evidently, the wildlife and, perhaps paradoxically, the local communities: after the current short-term bonanza is over, local people who have not bought their way out of subsistence (and current trends suggest this will be a large proportion of them: most of the financial benefits of wildlife trade flow to already-urbanised traders and other adventives) will lose this income source and most of their non-fish protein. Instead of the currently sterile polarisation within conservation implementing agencies of ‘local people vs wildlife’, which would better be termed ‘short-term human interest vs long-term human interest’, universal recognition that wild mammals are fundamental to rural poverty alleviation is needed (Krahn and Johnson 2007). Inviolate non-hunting core areas may be the most important tool in meeting this challenge. Even though they can legally be established in protected areas in both countries, there has been minimal progress in generating on-ground reality in this regard. Designation and outlining of core areas needs to flow from biologically sound analyses of population needs of species such as the Large-antlered Muntjac, to prevent core areas too small to sustain off-take in surrounding hunting zones or even survival within the core zones themselves. It is important that core areas are not selected starting from the assumption that they will be the areas traditionally not part of local community hunting areas: in many protected areas, these will be remote high-altitude terrain, and thus largely unsuitable for Large-antlered Muntjac. There is the danger that this occurs through the well-meaning intention, to minimise disruption to already marginalized communities. Instead, a longer-term viewpoint is necessary, that if core areas do not succeed in protecting populations of favoured quarry mammals, serious dietary and resource-flow disruption to these same communities is inevitable. It is already happening in some parts of Lao PDR (Krahn and Johnson 2007) and, presumably, Viet Nam. Surveys for the Large-antlered Muntjac (a combination of searches for evidence in local villages followed by camera-trapping) in Vietnamese portions of the Southern Annamites, especially Lam Dong Province, are needed, and on the basis of results, site-based conservation interventions may be warranted. The same may be true for yet-to-be identified areas of the southern Central Annamites. The weak understanding of Large-antlered Muntjac’s habitat use means that any indirect means (e.g. through habitat cover) to propose key sites for conservation intervention may simply overlook not just the best, but even any plausibly sensible, areas to select. The Cambodian population, if extant, may be covered partly by the one or more protected areas (Phnom Nam Lyr WS, Mondulkiri Protection Forest, Siema Biodiversity Conservation Area), other parts of it might, however, occur outside these areas. There are, however, no serious protection activities within its presumed national range. Camera-trapping surveys are warranted, and on the basis of results localised species-specific conservation interventions might be appropriate. The Large-antlered Muntjac is known only from the Annamite mountain chain and associated hill ranges of Lao PDR, Viet Nam and, marginally, eastern Cambodia. All current records from Cambodia, like many from Lao PDR and most from Viet Nam, are trophy antlers held by local hunters (R.J. Timmins pers. comm. 2006, 2015). Large-antlered Muntjac does not inhabit the northern highlands of Lao PDR or Viet Nam, nor the Mekong plain. Its distribution and status in Lao PDR were reviewed by Timmins et al. (1998), but no comparable compilation is available for Viet Nam. There have been no significant extensions of known Lao range since this collation. In neither Lao PDR nor Viet Nam is there any marked discontinuity in landforms between the Annamite range and the northern highlands. Yet Large-antlered Muntjac seems not to extend into the latter region as defined in Baltzer et al. (2001). In particular, extensive camera-trapping in Nam Et – Phou Louey NPA in the northern highlands of Lao PDR, where mammal populations are, in regional terms, reasonably healthy, has not detected the species despite hundreds of photographs of muntjacs being obtained. It should be noted that the majority of camera locations were at elevations greater than 1,000 m, which are potentially naturally unsuitable for the species (Johnson et al. 2006, R. J. Timmins pers. comm. 2015). Its trophies have been reported furthest to the north-east from the Pu Huong Nature Reserve, Nghe An Province, Viet Nam (Cao Tien Trung and A. Grieser Johns pers. comm. to R.J. Timmins 2008). Searches further north in Viet Nam have not found the species (e.g., Le Trong Trai et al. 1999c, Le Trong Trai and Do Tuoc pers. comm. to R.J. Timmins in the 1990s). The most northerly evidence in the main Annamite spine is from Pu Mat National Park, Nghe An Province on the Vietnamese side and from southern Bolikhamxay Province on the Lao side, with presence also to the west in southern Nam Kading NPA (Schaller and Vrba 1996, Timmins et al. 1998, SFNC 2000, R.J. Timmins pers. comm. 2008). In Lao PDR, the species might yet be found as far north as southern Xiangkhouang Province and Xaysomboun Province, which remain largely unsurveyed, as does most of intervening northern Bolikhamxay Province. The species’s westward limit is unclear, but presence may be localised and dependent on favourable ecological conditions in combination with historical patterns of anthropogenic forest use, with perhaps much lower natural ecological densities in what presumably are suboptimal habitats in the ‘drier’ western regions of central Lao PDR. Relatively extensive camera-trapping in Nam Kading NPA has not detected the species, even in areas where ungulates were clearly still reasonably common for the region, suggesting to some degree a natural pattern, however much of the camera-trapping was apparently at relatively high elevations, and furthermore the southeastern part of the NPA where trophies had been found in peripheral villages in the 1990s was not covered well by camera-trapping (R. J. Timmins pers. comm. 2015 based on WCS unpublished data/Tropical Ecology, Assessment and Monitoring (TEAM) Network unpublished data). South of southern Bolikhamxay Province and southern Nam Kading NPA in Lao PDR, evidence of Large-antlered Muntjac has been found in the Annamites, particularly Nakai–Nam Theun NPA and the Nakai Plateau, and outlying hill ranges including the foothills in and around Phou Xang He NPA, Xe Bang-Nouan NPA and Dong Phou Vieng NPA, the Lao–Vietnamese border area in the region of Hin Namno NPA, south of there in Laving Laveun Provincial Protected Area, and the main body of the central Annamites in Xe Sap NPA, the Dakchung Plateau and Dong Ampham NPA (Timmins 2013a, Duckworth et al. 2010, Schaller and Vrba 1996, Davidson et al. 1997, Timmins et al. 1998, Steinmetz 1998, Steinmetz et al. 1999, Robichaud et al. in prep.). Based on the results from Nam Kading it seems likely that in outlying hill ranges such as Phou Xang He and Xe Bang Nouan the species was naturally always localised. In Viet Nam, south of Pu Mat National Park, the Large-antlered Muntjac has been recorded in several Annamite sites including Vu Quang Nature Reserve (now National Park), Ha Tinh Province (Dawson and Do Tuoc 1997, Eve et al. 2001: 45 and 122). From Vu Quang NP southwards, there are, as in Lao PDR, sporadic records of trophies, but little other information save for anecdotal reports of the species’s scarcity (Le Xuan Canh et al. 1997, Le Trong Trai and Richardson 1999, Le Trong Trai et al. 1999a, 1999b, 2001, Timmins et al. 1999, Timmins and Trinh Viet Cuong 2001, Le Manh Hung et al. 2002, Thua Thien Hue Province Forest Protection Department, Thua Thien Hue and Quang Nam Provinces: B. Long, Kon Plong area, Kon Tum Province: Do Tuoc, A Luoi District, Thua Thien Hue Province and Kon Cha Rang NR, Gia Lai province: Le Trong Trai, all pers. comm. to R.J. Timmins). In the mid 1990s the Forest Inventory and Planning Institute and the Institute of Ecology and Biological Resources obtained two and three, respectively, freshly hunted animals from the Lam Ha District, Lam Dong Province in the Southern Annamites (a region often referred to as the Lang Bian or Dalat Plateau), which they mounted as specimens for the respective institutions (Do Tuoc and Pham Trong Anh pers. comm. to RJT). The Da Lat Biology Institute in Lam Dong in October 1995 held 19 M. vuquangensis, reportedly mostly from some or all of the districts of Lac Duong, Di Linh, Bao Loc and Lam Ha (Pham Trong Anh et al. 1996). This area is also one of the few with reasonable historical evidence for Large-antlered Muntjac (Millet 1930, Bauer 1997). No published recent survey has determined the conservation status of the Large-antlered Muntjac in this area, and its southern limit remains poorly known, although the species presumably does not occur south of the southern slopes of the Southern Annamites. In Cambodia, the Large-antlered Muntjac is known only through trophy antlers seen in villages and markets of the Mondulkiri Plateau (Desai and Lic 1996, Timmins and Ou 2001, Walston 2001). It is probably very localised: extensive camera-trapping at low elevations on the southern slope in Siema Biodiversity Conservation Area has not detected the species (J.L. Walston and T.D. Evans pers. comm. to R.J. Timmins based on WCS unpublished data, R.J. Timmins pers. comm. 2015 based on a review of WCS camera-trap images in 2011), and at higher elevations closed canopy semi-evergreen forest forms a mosaic with deciduous forests, savanna and grassland, the latter are believed to be unsuitable for the species (Timmins and Ou 2001, R.J. Timmins pers. comm. 2008). Slight doubt over provenance of trophies in Mondulkiri reflects the heavy trade with Viet Nam (albeit mostly to Viet Nam from Cambodia) and lack of influence on hunters’ movements of the international border. On ecological grounds there seems little question that this muntjac should occur in Cambodia, although it may already have been hunted out. CBD and BGMNP (2012) state that three individuals of this species were camera-trapped during a project run by Bu Gia Map NP in Binh Phuoc Province, southern Viet Nam, on the border with Siema BCA. A picture of a muntjac labelled as “Mang lớn Megamuntiacus vuquangensis?” (CBD and BGMNP 2012: pg 45) is unclear, but is almost certainly not a Large-antlered Muntjac, no further details of the camera-trapping project or the purported Large-antlered Muntjac photos are given (Timmins in press a). Given the propensity in general for camera-trap photos to be misidentified (e.g., AWCSG–GWC 2011) and the subtle differences between Large-antlered and Northern Red Muntjacs (Timmins et al. 1998, R.J. Timmins pers. comm. 2014) it is best that these reports are discounted until the pictures can be independently verified (Timmins in press a). Evidence for the Large-antlered Muntjac comes from much of the Annamite mountain range, mostly as trophy antlers in villages abutting or within forest (Timmins et al. 1998, Do Tuoc and Le Trong Trai pers. comm. to R.J. Timmins 1990s, B. Long pers. comm. to R.J. Timmins 2006, W.G. Robichaud pers. comm. to R.J. Timmins 2007, R.J. Timmins pers. comm. 2008, 2014, Le Trong Trai pers. comm. 2015). The very little field-based evidence of Large-antlered Muntjac contrasts with Northern Red Muntjac Muntiacus vaginalis being among the most frequently recorded large mammals during field surveys in Lao and Viet Nam (Timmins in press b, Timmins 2013a, Duckworth et al. 2010, Timmins et al. 1998, Timmins and Ou 2001, R.J. Timmins pers. comm. 2008). In most known Lao sites holding Large-antlered Muntjac, few trophies were found compared with those of Northern Red Muntjac, the only exception is the Nakai Plateau and Nakai–Nam Theun NPA where, overall, numbers of trophies of the two species were roughly equal, and which constitute the only area of Lao PDR in which trophy evidence was found commonly over a wide area (Schaller and Vrba 1996, Timmins et al. 1998). Around the Nam Noy and Nam Phao river basins, Large-antlered Muntjac trophies even outnumber those of Northern Red Muntjac (W.G. Robichaud pers. comm. 2008, based on surveys in 2007–2008). Distribution and relative abundance in the Xe Sap NPA–Dakchung area, based on the frequency of trophy antlers discovered in villages, another region of the main Annamite spine visited several times appears, by contrast, to be patchy (Timmins 2013a, Schaller and Vrba 1996, Showler et al. 1998, Steinmetz 1998, Steinmetz et al. 1999, Timmins et al. 1998). During 1998–1999, camera-trapping in Bolikhamxay Province recorded the species only twice (Robichaud and Stuart 1999), which at the time seemed a relatively low ‘encounter’ rate, however given the relatively low effort (probably less than 1,800 trap nights W. Robichaud pers. comm. 2015) in comparison to some recent camera-trapping surveys it now seems noteworthy (R. J. Timmins pers. comm. 2014). More recent but somewhat limited camera-trapping in Phou Chomvoy PPA and Phou Sithone Endangered Species Conservation Area, both areas almost certainly within the historical range of Large-antlered Muntjac, did not detect the species (Timmins in press b, IEWMP unpublished data, Chanthasone_Phommachanh unpublished data), and as already mentioned the species has not been detected by camera-trapping in Nam Kading NPA, although this may be due to camera-trapping being largely in ecologically unsuitable areas (R.J. Timmins pers. comm. 2014 based on WCS unpublished data). A substantial and widespread camera-trapping effort conducted over several years from 2006–2011 in the Nakai–Nam Theun NPA and other areas of the Nakai Plateau recorded many Large-antlered Muntjacs in some sectors in a ‘trap’ encounter rate similar to that of Northern Red Muntjac there (Coudrat et al. 2014a, Robichaud et al. in prep, R.J. Timmins pers. comm. 2015 based on a review of Watershed Management and Protection Authority [WMPA] unpublished camera-trapping data). The plateau and NPA’s Large-antlered Muntjac population stood out as exceptionally large both in the mid 1990s (when it could be compared with many other sites surveyed using comparable methodology) and in a mid-2000s context (despite a paucity of contemporary similar studies in other sites). 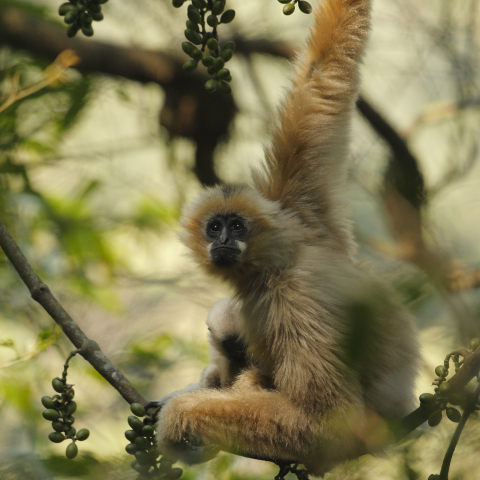 In an Indochinese context, the Nakai Plateau and Nakai-Nam Theun NPA were found in 1994–1996 to hold substantial populations of other wildlife which have declined steeply through over-harvest in Indochina. Recent (2006–2007) surveys of the plateau showed that some had by then gone, such as Tiger (Panthera tigris), but others, such as turtles, otters, Asian Elephants (Elephas maximus), and, of most direct relevance to inferring the status of this muntjac, Sambar (Rusa unicolor) remained in numbers outstandingly high compared with other areas surveyed about the same time (Dersu 2008, R.J. Timmins pers. comm. 2008). However, occupation of the NPA seems somewhat patchy, not just for ecological reasons: in one of the sectors where camera-trapping was carried out, no Large-antlered Muntjacs were found, although Northern Red Muntjac and the M. rooseveltorum species-complex were recorded frequently (Robichaud et al. in prep. ), at the time of the camera-trapping this coincided with the area of the NPA thought on the basis of several lines of evidence to be most heavily affected by hunting (both from Lao and Viet Namese hunters) (R. J. Timmins pers. comm. 2015). In June–July 2010 a short duration camera-trapping project was conducted in Laving Laveun Provincial Protected Area (PPA), in Savannakhet Province, Lao PDR, in forest close to the border with Viet Nam and apparently transitional in nature with Wet Evergreen Forest. This resulted in nine independent detections from seven camera locations, and a further five probable detections from a further two camera locations (Duckworth et al. 2010). Northern Red Muntjac was not certainly camera trapped during the survey, although animals in the M. rooseveltorum species-complex were recorded (Duckworth et al. 2010). Recent camera-trapping in Xe Sap NPA has so far failed to detect Large-antlered Muntjac, although 74% of 4,630 trap-days was at elevations above 1,000 m (R.J. Timmins pers. comm. 2015 based on WWF Greater Mekong unpublished data, Gray and Thongsamouth in prep), surveys in 2011 also did not find any Large-antlered Muntjac trophies within villages around the periphery of the NPA (Timmins 2013a). In general, surveys undertaken throughout Lao PDR suggest that typical quarry species of large mammal are well below carrying capacity even within large habitat blocks (Timmins and Ou 2001, Timmins and Duckworth 2008), and the paucity of evidence for the Large-antlered Muntjac elsewhere in its Lao range indicates a conservation status similar to that of wild oxen or large hornbills, rather than to that of other ungulates of comparable size such as other muntjac species or wild pigs. Camera-trapping in Nakai-Nam Theun NPA during 2006–2011 appears to indicate significant declines of ground-dwelling large mammal populations especially Sambar, cats and some small carnivores, by comparison with direct observation and sign surveys in 1994–1996, intensive snaring is now commonplace within the NPA and the area has particularly suffered from incursion from over the Vietnamese border (Coudrat et al. 2014 a,b; Duckworth 1998; Evans et al. 2000; RJT pers. comm. 2008 based on WMPA unpublished data; W.G. Robichaud pers. comm. 2007). However snaring is still likely to be only a fraction of the intensity of that on average in the majority of Vietnamese Annamite forests (at least those that retain any large mammals of commercial value), and of particular significance in terms of assessing status and trends of large mammals, snaring has only been at a significantly high level in a majority of the NPA for a relatively short time (probably less than 10 years) compared with the considerably more prolonged duration of snaring on average in Vietnamese forests and some other border areas of Lao PDR (R. J. Timmins pers. comm. 2014). Although muntjacs of all species are still apparently numerous in Nakai Nam Theun NPA, significant declines are almost certainly in progress, as on the Nakai Plateau (the semi-quantitative methods used have low power to detect changes even of quite large proportion, if the species is still ‘common’). Elsewhere in Lao PDR over the same period, anecdotal information and a small number of re-surveys suggest that declines in mammals of muntjac size and over (in magnitude obvious even by subjective survey means) are widespread (Timmins and Duckworth 2012; Duckworth in press; Timmins 2013a; Suford 2010; Timmins 2009; Timmins in press a,b; Timmins and Robichaud 2005; J.W. Duckworth pers. comm. 2008 but based largely on areas outside the Large-antlered Muntjac’s range). In Viet Nam the situation seems to be if anything considerably worse, with no evidence for anything other than very small numbers surviving, although one area which seems to have held large numbers at least into the 1990s has not been re-surveyed. In and around Pu Mat National Park, despite a number of trophies in local villages in the 1990s, fairly intensive camera-trapping in the late 1990s resulted in perhaps only one image of Large-antlered Muntjac compared with dozens portraying Northern Red Muntjac and several showing animals of the M. rooseveltorum group (Timmins et al. 1998, SFNC 2000, RJT pers. obs. based on SFNC unpublished data). However, the spatial overlap between the areas providing the village trophies and where camera-trapping took place is not known. More recent surveys in Pu Mat National Park, from 2012 and 2013, indicate that ungulate densities have declined precipitously from previous years, suggesting that if anything the situation has worsened (A. Tilker pers. comm. 2015). Slightly further south in Vu Quang Nature Reserve, Dawson and Do Tuoc (1997) considered Large-antlered Muntjac as common as Northern Red Muntjac, an assessment echoing that from the adjacent Lao area of Nakai–Nam Theun NPA and Nakai Plateau (see above). However, Eve et al. (2001: 45 and 122) concluded a major decline at Vu Quang NR during the 1990s: Dawson (1994) recorded that 13 Large-antlered Muntjacs were caught in snares in the 1993/1994 season alone, and observed one Large-antlered Muntjac in the southern part of the reserve at this time, but in several years’ presence, including various biological surveys, in the late 1990s, no new evidence of the species was recorded. From Vu Quang NR southwards, there are, as in Lao PDR, sporadic records of trophies, but little information other than, in many instances, anecdotal reports of the species’ scarcity (see the Distribution section). In Khe Nuoc Trong proposed nature reserve, Le Thuy District, Quang Binh Province, Large-antlered Muntjac was camera-trapped at least once (with two other provisionally identified records) during 2011–2014, all below 200 m elevation over the course of 9,200 trap days using 100 camera-traps (Le Trong Trai pers. comm. 2014, R.J. Timmins pers. comm. 2015). Extensive camera-trapping in Thua Tien Hue and Quang Nam Provinces between 2002–2006 captured only a single possible Large-antlered Muntjac against numerous pictures of Northern Red Muntjac and several animals of the M. rooseveltorum species-complex (Dickinson and Van Ngoc Thinh 2006, Long 2005, R.J. Timmins pers. comm. 2014). More recently between 2012 and 2014 greater than 19,000 camera-trap days from 127 locations largely below 1000 m in the Hue and Quang Nam Saola Nature Reserves did not detect the species with certainty (WWF Greater Mekong unpublished data, T. Gray pers. comm. 2014). This suggests a current rarity that seems to reflect a steep recent decline rather than naturally low densities based on interviews of villagers throughout Quang Nam, Hue and Quang Tri provinces (B. Long pers. comm. 2008). This is corroborated by camera-trapping results for other species, i.e. Sambar only detected from five of 127 locations, Saola only detected from a single location and Crested Argus only detected from two locations (WWF Greater Mekong unpublished data), interview data for Saola based partly on the remains of hunted animals which indicate a significant decline in reports over time (N.M. Wilkinson pers. comm. 2012, 2014, Turvey et al. 2014) and field surveys which have found evidence of high hunting intensity and low abundance of all ungulates in the majority of areas (A. Tilker pers. comm. 2014, R. J. Timmins pers. comm. 2015). In the mid 1990s, two Hanoi institutes obtained five freshly hunted animals from the Lam Ha District, Lam Dong Province in the Southern Annamites (see Distribution) where the species was said to be relatively common (Do Tuoc and Pham Trong Anh pers. comm. to R.J. Timmins). The Da Lat Biology Institute in Lam Dong Province began amassing specimens in 1990 and by October 1995 held only 271 mammal specimens. Remarkably, 19 (in translation: six stuffed mounts, four skinned heads (skulls?) and 9 skins (trophies?)) of these were of M. vuquangensis, against only 12 M. vaginalis. These were the two most numerous mammal species in the collection (Pham Trong Anh et al. 1996). It is not known if the institute deliberately sought Large-antlered Muntjac, or whether the numbers reflect the relative frequency with which animals were being hunted. 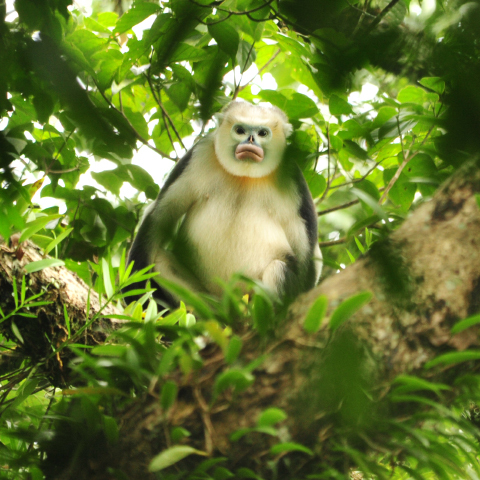 The only somewhat relevant survey traced within that region since, a survey of Chu Yang Sin NP, in an adjacent area of Dak Lak Province, camera-trapped the species on a single occasion (BirdLife International 2010, details of survey effort are not given). Given the lack of traced information from Lam Dong present conservation status of Large-antlered Muntjac there is unknown. Southern Viet Nam had in previous decades often proven to harbour less depleted large mammal populations than further north (e.g. Le Xuan Canh et al. 1997, Polet and Ling 2004), however this may no longer be the case over much of the south, with evidence that hunting intensity and forest loss has greatly increased and become much more similar to the situation in the centre and north (see Threats). In Viet Nam, especially the north, large mammal densities are, in general, even more depressed than in Lao PDR (Tilker 2014, Willcox et al. 2014, Timmins in press a, Timmins et al. 1999, Timmins and Trinh Viet Cuong 2001, Timmins 2002, Timmins and Ou 2001, Timmins et al. 2007, R.J. Timmins pers. comm. 2008). Threats as identified by the 2008 assessment by and large still remain true in 2015. The 2008 assessment of threats is reiterated below along with updates and qualifications based on new information since that time. As of 2008, suitable habitat for the Large-antlered Muntjac is still extensive (under the reasonable assumption that it uses secondary forest), but, especially within Viet Nam, it seems absent from many accessible, but superficially, at least, suitable habitat blocks. In the intervening period there has been an acceleration in the rate of habitat loss at low to mid elevations, especially in the Southern Annamites, as clearly indicated by comparison of satellite images from different periods over the last few decades. This strongly indicates that over-hunting is its primary threat. Heavy deployment of camera-traps in several interior forests of Viet Nam produced few photographs, showing that Large-antlered Muntjac can be rare even in the most remote areas. A decline would suggest great susceptibility to hunting, but it is possible that it was never common in the types of interior closed-canopy forest surveyed and is restricted to specific types (not yet camera-trapped) or may even be strongly associated with edges. If the latter, then a high proportion of the population would be facing very heavy hunting pressure as well as an accelerating threat of habitat loss due to clear-felling for plantation forestry, because of proximity to settlement of much of the suitable habitat. Whatever the explanation for the rarity of records in most camera-trapping areas, it suggests a much stronger level of threat than has hitherto been appreciated (e.g. by Timmins et al. 1998, Duckworth et al. 1999, the listing as only Provisionally At Risk in Lao PDR in the latter is now clearly inappropriately optimistic). While the socio-economic factors outlined in this section bear on the conservation status of all ungulates and primates, of most carnivores, and of many other mammals in Lao PDR and Viet Nam, Large-antlered Muntjac is probably one of two species (the other being Saola Pseudoryx nghetinhensis) which is most at global risk through them. This is because it is big enough to be a main wildlife meat source, it does not have populations secured in other countries such as India, Nepal and Thailand, with installed effective management in at least some protected areas, it does not have populations in the rugged mountain forest blocks where trade-driven hunting of species valued only for their meat (rather than high-value, low-weight, generally medicinal products that can be carried out efficiently from even the remotest areas) is limited by economics of accessibility, and it does not occur on the plains where (for a mix of essentially non-biological reasons) protected area management is being most successful in conserving ungulates (e.g. Cambodia). Large-antlered Muntjacs are hunted within a thriving hunting and wildlife trading culture which abounds in all range states and in adjacent countries such as China and Thailand, involving many land vertebrate species, along with other forest products such as orchids and Aquilaria resin (e.g. Compton and Le Hai Quang 1998, Compton et al. 1999, Noreen and Claridge 2001). Hunters do not target Large-antlered Muntjacs, but are seeking any and all species with marketable meat and products for the medicinal markets. Such hunting reaches all this muntjac’s range, and with so many species and products, non-selective methods continue at high levels until the most resilient species is no longer common enough for hunting to be commercially viable. This non-specificity makes regional hunting practices a peculiarly strong driver of localised and, in aggregate, regional, extinctions (e.g. Tungittiplakorn and Dearden 2002). The regional wild meat trade has little likelihood of abating as long as there are any pigs, muntjacs, and civets to be hunted or there becomes a serious commitment on the behalf of range-state governments to address the issue. Large-antlered Muntjacs will be extinct long before these more resilient species become so rare that communities are driven to ‘fishing down’ for smaller species using methods that do not threaten Large-antlered Muntjacs. In 2015, the human population of Viet Nam exceeds 93 million, that of China 1 billion. Together, they comprise an enormous market for wildlife products. For example, tens of millions of wild turtles are imported, legally and illegally, into China annually (van Dijk et al. 2000 and papers therein). There has been no comparable study of ungulate trade levels. Hunting in Large-antlered Muntjacs's range is therefore very high: in the Northern and Central Annamites of Viet Nam, in a range shared with Saola, an estimated eight million people, almost all with the propensity to eat wildlife and mostly with direct links to the urban wildlife trade, live within 100 km of forest inhabited by Saola, and probably nowhere in the range of Large-antlered Muntjac is further than 30 km from a village (Timmins et al. 2007, R.J. Timmins pers. comm. 2008). Within the Northern and Central Annamites, every square kilometre of Vietnamese forest and of Lao forest that is within 5 km of the Vietnamese border probably has snares capable of capturing Large-antlered Muntjac set in it every year (Timmins et al. 2007, R.J. Timmins pers. comm. 2008). Very localised law enforcement efforts especially in the Hue and Quang Nam Saola Nature Reserves since 2011/2012, has probably to some extent mitigated this, and some small pockets of high-elevation terrain and the remotest of areas (e.g. limestone terrain) probably escape such high pressure, but countering this, snaring intensity in Lao areas in particular has certainly increased. Intensity in some areas probably reaches many thousands of snare-nights per km² per year (Timmins et al. 2007). Snaring is less intensive in Lao PDR at least away from the Vietnamese border, but the intensity and spatial scale of snaring is increasing dramatically (Timmins 2013a, Duckworth et al. 2010, Timmins in press a, b, Coudrat et al. 2014 a, b). Hunting intensity has in recent decades been generally lower in southern Viet Nam than in Lao PDR and the northern and central Annamites of Viet Nam, leaving many wildlife populations less depleted (e.g. Le Xuan Canh et al. 1997, Timmins and Duckworth 2000, Polet and Ling 2004), but the general increase in regional hunting intensity and economic wealth indicate that hunting intensity in this region must also be increasing. In 2014 this appears now to be almost certainly the case over large areas of the Southern Annamites, even though sites such as Cat Tien NP retain anomalously healthy large mammal populations in a Vietnamese context, in many areas in fact hunting intensity of ground dwelling mammals may be approaching the levels of the Northern and Central Annamites (Timmins in press a, R. J. Timmins pers. comm. 2014), furthermore habitat loss in the Southern Annamites appears to be accelerating with substantial loss of mid-elevation forest already having occurred for instance on the Dak Nong – Mondulkiri Plateau (Timmins in press a, R. J. Timmins pers. comm. 2015 based on a review of satellite images). Closed tropical evergreen forests have inherently low ungulate biomass (Robinson and Bennett 2000), and beyond this populations of all wild animals larger than 20 kg in most of Large-antlered Muntjac’s range have been significantly reduced by human exploitation (Timmins and Ou 2001, Timmins et al. 2007, R.J. Timmins pers. comm. 2008), the paucity of records across its range shows that this includes Large-antlered Muntjac itself. Field survey encounter rates even with Northern Red Muntjacs and pigs in much of Large-antlered Muntjac's range are remarkably low compared with other areas in Asia (Timmins and Ou 2001, Timmins et al. 2007, R.J. Timmins pers. comm. 2008), wild cattle, Asian Elephant, and Tiger are all nearing extinction in this muntjac’s range (e.g. Duckworth and Hedges 1998), and in some of the worst-hit protected areas even the generally robust Northern Red Muntjac and wild pig are ecologically extinct (e.g. the western lowlands of Xe Bang-Nouan NPA, Lao PDR, J.W. Duckworth pers. comm. 2008, based on 2007 field visit). Further surveys since 2008 have only reinforced this picture of dwindling wildlife populations and probable local extirpation of the most vulnerable species in ever more fragmented landscapes (Timmins in press a, b, Timmins 2013a, Suford 2010, Duckworth et al. 2010, Timmins 2009. In the Nakai Plateau and Nakai-Nam Theun NPA, in some sectors the Large-antlered Muntjac and Northern Red Muntjac are similar in abundance. Comparison with other areas, where the former is much scarcer than the latter, implies that the Large-antlered is much more sensitive to hunting than is the Northern Red Similar results from Laving Laveun PPA further reinforce the probability that hunting above all else is the primary factor behind scarcity of the species in most Annamite forests at mid elevations (R.J Timmins pers. comm 2015). It may be intentionally targeted more (although there is no evidence for this, and it seems unlikely), or some facet of population biology such as fecundity (possible given its slightly larger size) may make it less resilient, or it may be associated with habitats that (for other reasons) are targeted by hunters. This latter factor is certainly true at the landscape scale: Large-antlered Muntjac primarily uses lower altitudes, yet forest blocks remote enough for hunting levels to be restrained by the economics of access and removal of meat are primarily mountainous areas of high altitude forest. If Large-antlered Muntjac is an edge species, densities in large un-encroached closed forest blocks would be low anyway. The lower-altitude disturbed forests may be the most suitable habitat for this muntjac, but because they are closer to high human population densities than are montane or little-encroached blocks, they support higher levels of generalised snaring and hunting. In comparison, Northern Red Muntjac has large populations in such high-altitude remote forest blocks, which may act as a repopulation reservoir for lower altitude areas. It is difficult to think of any habitat that could be a source for Large-antlered Muntjac. Since 2008 there have been no new observations to suggest that the above speculation is not broadly accurate, whilst new camera-trapping data solidifies the assumption that the species is primarily associated with forests below c. 1,000 m.
While demand for wild meat is the major driver of muntjac trade, parts such as antlers may be used for medicinal purposes. There is also the curio/status symbol appeal of trophy antlers: some are even on display in Bangkok (A.J. Lynam pers. comm. 2000). Since 2008 there appears to have been an upsurge in the trade in trophy antlers (of all species), to the extent that it is now often difficult to find Large-antlered Muntjac trophies within villages, the trade appears to favour trophies with large antlers (Timmins 2013a, R. J. Timmins pers. comm. 2014), one can only speculate that this will inevitably increase pressure on the species. Economic development and expanding wealth in the region are increasing the demand for wildlife meat and ‘medicines’ (Timmins et al. 2007). Sage and Nguyen Cu (2001) and Timmins et al. (2007) highlighted a common misconception, especially in documentation of development projects in the region, that poverty is a principal cause of biodiversity loss, but as they pointed out for Saola, the main driver of threats for Saola, Large-antlered Muntjac and many other species, at least for the mid-term, is not rural poverty but increasing urban wealth in Indochina and China. In Viet Nam “the free market economy has resulted in feverish periods of trade in wild species nationwide, with negative impacts on biodiversity” (Government of the Socialist Republic of Viet Nam 2004). In Cambodia, the same factor has fostered a thriving bushmeat market and hunting of species for international wildlife trade (Timmins and Ou 2001, Maxwell et al. 2006, Timmins 2006). There is a rapid, ongoing, expansion of wealthy social strata in Lao PDR, directly accelerated by illegal trade in rosewood, wild meat, and other forest resources, and by the economics of large infrastructure projects (e.g. Nan Theun 2 hydro-electric power project), creating a significantly greater in-country demand for luxury meats such as venison (W.G. Robichaud pers. comm. 2007). Markets along major roads such as route 13 (e.g. at Ban Namthon) have expanded, not contracted, in the last 15 years and have a huge (albeit unquantified) turnover of wild meat, at this specific market, multiple stalls are selling dried muntjac meat daily (balance of muntjac species unknown). If anything, trade has grown since 2008, and become more sophisticated, this appears particularly so in Lao PDR, as its border with Viet Nam has become increasingly opened up by new roads and upgrading of old border crossings (R.J. Timmins pers. comm 2015). Road development in Viet Nam, especially the recent construction through the Annamite Mountains in Viet Nam of the Ho Chi Minh Highway, parallel to the Lao border, with its many feeder roads to Lao PDR and Cambodia that boost connectivity of rural areas to regional wildlife trade markets, is a severe and probably unmitigatable threat (Timmins et al. 2007, R.J. Timmins pers. comm. 2008). From the late 1990s there has also been a dramatic upgrading and expansion of national and regional road networks in Lao PDR, primarily it seems to make all inhabited areas of the country readily accessible (W.G. Robichaud pers. comm. 2008). New road linkages in Mondulkiri Province, Cambodia, are making the area’s natural resources more easily marketable (R.J. Timmins pers. comm. 2008). Since 2008 road development and upgrading has continued and probably even increased in intensity especially in what were once remote border areas (Timmins 2013a, Timmins in press a,b). Shifting cultivation of local communities is resulting in a net loss of forest and even of dense secondary habitats, and is fragmenting larger forest blocks because of the dispersion of settlements. Shifting cultivation per se could even be beneficial for this muntjac, but recent trends are decreasing the suitability of what might be called ‘the shifting cultivation estate’. These trends centre round a decline in cycle length in rotational systems (hindering regrowth during the fallow period), partly through the increasing number of people depending upon an annually decreasing area, as forest land is lost to infrastructure, tree plantation crops and other forms of continuous agriculture, and partly through well-intentioned government policy to eradicate shifting cultivation. Habitat loss due to shifting cultivation has probably increased in intensity in many habitats of most relevance to the species since 2008, e.g. peripheral degraded forest at mid elevation (Timmins 2013a, Timmins in press a,b) especially in the southern Annamites of Viet Nam where rubber, pine and acacia plantations are targeted on secondary forest patches. Recent moves towards landscape-scale habitat clearance for agro-industrial developments particularly in plateau areas of Cambodia and southern Viet Nam, and even in foothill areas of northern parts of the Lao and Vietnamese range of the species, would presumably remove available habitat, further fragment remaining forest areas, increase local affluence and result in new roads. However, this muntjac’s potential use of plantations is not assessed, and probably cannot be, because all such developments are increasing the area in which hunting is easy and at high levels (R.J. Timmins pers. comm. 2008). Since 2008 as with most other threats, habitat loss from concessions appears to be on the increase, with for instance large areas of plateau forest already lost in the Southern Annamites (Timmins in press a). Hydropower development throughout the Annamites, particularly in the Nam Theun/Nam Kading basin in Lao PDR, floods habitat but more importantly fuels hunting levels through increasing access, affluence and market connectivity. The Nakai Plateau, part of the only area known still to support good numbers of Large-antlered Muntjac, was flooded for a hydropower headpond during mid 2008. This destroyed part of the species' range on the plateau, but the project will continue to stimulate hunting. Currently, there are barely-navigable stretches of rocky channel (called kengs) on all streams flowing out from the NPA. All these kengs will be easily passable when the reservoir is full. As predicted the Nam Theun 2 reservoir has had a huge negative effect on remaining plateau areas and the NPA (W.G. Robichaud and J. W. Duckworth pers. comm. 2015). Nam Kading NPA, further down the same catchment, is also threatened by a hydropower project which will result in a highly dendritic headpond allowing ready access to most of this NPA and so undoubtedly will increase hunting levels significantly. Other reservoirs have in the interim been completed in both Lao PDR (e.g. on the Nam Gnouang) and Viet Nam (e.g., a reservoir abutting the Hue SNR) surely leading to similar consequences (Timmins in press b, R. J. Timmins pers. comm. 2014). Growing economic stability and developing infrastructure in all three range countries have initiated a flood of proposals for industrial-scale mineral extraction, particularly in the mineral-rich Annamites (R.J. Timmins pers. comm. 2008). The effects of this on proportionate loss of habitat remain to be seen, they will probably be overshadowed the presence of large numbers of non-local workers with good market connectivity and thus a propensity to hunt, or to pay local people to hunt. In 2015 expansion of mineral concessions has perhaps not been as dramatic as feared, although there are still plans and rumours concerning concessions in many areas, and small-scale gold mining operations are present in many relatively remote forest areas (Timmins 2013a, Timmins in press b). Recent changes in immigration agreements between Lao PDR and Viet Nam and between Lao PDR and China make it much easier for Vietnamese and Chinese people to visit, settle in and conduct business in Lao PDR, and with a clear build-up of Vietnamese nationals in pivotal wildlife trade centres such as Ban Lak-20 (= ‘Ban Lak Xao’) on the edge of Nakai–Nam Theun NPA, trade networks with Viet Nam are now better than ever and still improving (W.G. Robichaud pers. comm. 2007). The difficulties of distinction between this species and Northern Red Muntjac impede its potential legal protection, particularly in situations where a differential status between the Large-antlered and Northern Red applies. Customary rights of local people to hunt ‘sustainably’ within most Lao and some Vietnamese protected areas urgently need modification if most of the ungulate species are to survive in such areas (see the Conservation Measures section). As pointed out by Timmins et al. (2007), protected area management skills and commitment to the system are still evolving in the Annamites, and this progress lags behind expansion of market-led hunting. Currently, existing protected areas are not stanching declines in ungulates. Protected areas have so far proven impotent in the control of poaching or as a mechanism to safeguard areas from economic development such as hydropower projects, road construction, and mining (Timmins et al. 2007). It will require a major consolidation of effort to install effective anti-hunting measures in any protected area within the range of Large-antlered Muntjac within the next five years (Timmins et al. 2007, R.J. Timmins pers. comm. 2008) and protected area strengthening projects should be thinking in terms of a few decades of collaboration, not a few years (e.g., Leisher 2001). Yet, there is even the danger of the few currently promising protected areas regressing through loss of external funding and talented professionals, ongoing political indifference towards them, and thereby forcing an unfettered short-termism in local residents’ behaviour through a lack of alternative options. There is no plausible method to conserve this species (and others of high value to the wildlife trade which show little resilience to hunting) alternative to protected areas, the problem is arising not through a flawed concept, but through naive optimism about the time-scales and resource inputs needed to effect situational change, coupled with insufficient political will to enact effective protected area management by all range state governments. The potential of Nakai–Nam Theun NPA to conserve the species has fallen far short of expectations. The area receives substantial, guaranteed annual funding from the Nam Theun 2 hydropower project (approximately USD 1 million annually), in compensation for reservoir inundation of wildlife habitat on the Nakai Plateau. As of 2015, after nearly a decade of over USD 1 million being spent per year by the NPA’s management, there is little progress in restraining offtake of ungulates and other wildlife. This reflects low starting capacity resulting from inappropriate staff selection policies, a poorly structured capacity-building programme, no link between performance and provision of annual budget, internal financial irregularities and, most trenchantly, uneven commitment to the protected area’s aims internally, and from the mass of other government bodies with influence over WMPA.. National-level government policy favours tangible aspects of rural development (road building, plantation agriculture, etc.) 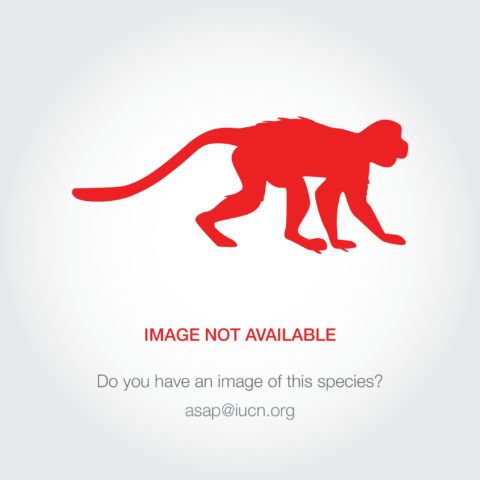 over what is perceived as ‘wildlife conservation’. Corruption that both protects and promotes the unsustainable offtake of natural resources (e.g., forest timber, wildlife for trade) is also a major issue. The situation reached a crisis point in 2014 when two external reviews corroborated the Nam Theun 2 project’s own International Environmental and Social Panel of Experts’ long-standing and intensifying concerns over continued gross underperformance, and the panel recommended dissolution of the WMPA management structure (McDowell et al. 2014). As of late 2015, most WMPA senior staff have in fact been removed, but their replacements have not yet been appointed. In Bolikhamxay Province to the north, some progress has been made in wildlife conservation, particularly through a decade-long cooperative program between the province and the Wildlife Conservation Society. However, ongoing restriction by the province and central government for program personnel to enter some of the most important areas in the Annamites along the border of Viet Nam, due to unspecified ‘security concerns’, considerably hamper attempts to conserve rare ungulates there if still present, such as Saola and Large-antlered Muntjac. The only site within the species’ range where levels of law enforcement patrolling and protected management are close to levels required to reduce threats to Large-antlered Muntjac are the Hue and Quang Nam Saola Nature Reserves in central Viet Nam, and possibly some focal areas of Nakai-Nam Theun. However even at these sites it is likely that few, if any, areas are either sufficiently remote, or patrolled with sufficient regularity or intensity, to remove threats to the species. In addition there are no confirmed recent records of Large-antlered Muntjac from the two reserves in Viet Nam, which clearly suffered extensive hunting prior to gazettement, and the species may have become extinct from these sites. Adjacent areas of eastern Xe Sap National Protected Area, Lao PDR, receive little protection and despite efforts to establish enforcement teams with similar mandates as within Hue and Quang Nam, current patrol intensity and levels of snare removal are not close to that required. 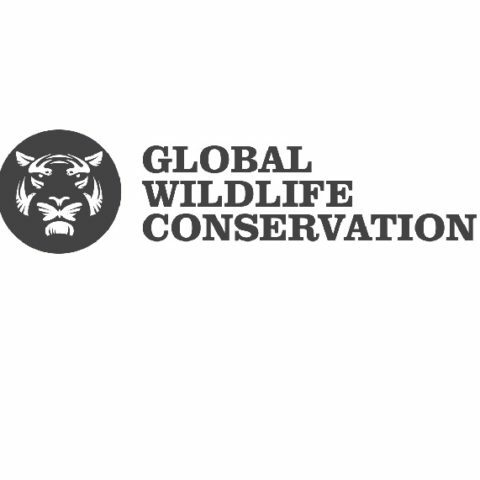 It should be noted that snare removal in these sites is conducted primarily by trained, local community members, with ranger assistance and support from WWF, not primarily by government staff. There is a lack of appreciation in the decision-making levels relevant to protected areas, including those with externally collaborative management support projects, of the biodiversity value of lower altitude yet degraded forests relative to high altitude forests which have been less encroached. This results in mis-prioritisation of core protected zones within protected areas. The common situation is that all lower-altitude forests are degraded, and it is this very degradation that makes them of high priority: their conservation status is already so poor that there are no pristine areas left in most of the range of the Large-antlered Muntjac. This is a problem for a wide suite of species restricted to the lower altitudes, not just to this muntjac, but because of its globally small range, it may be the mammal at most global risk through this factor (with the possible exception of Saola).